Warhammer 40k Forum Tau Online » Games Workshop/40K Related » Showcase » UM 4th Company finished army shot! UM 4th Company finished army shot! Not only have i been painting my goblins, i have also been painting this army! This force took just 2 and a half months to complete. Probably my fastest army to date. Its also my first army i&#39;ve used an air brush to base coat with! Re: UM 4th Company finished army shot! Wow, that&#39;s a beautiful army there Gareth. 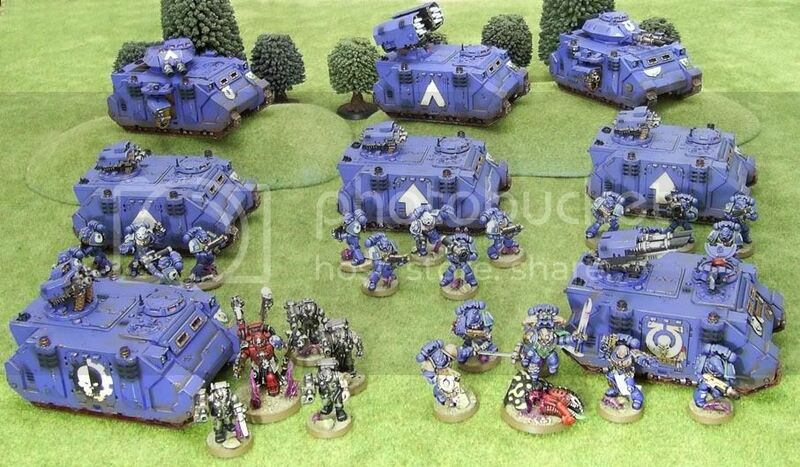 It looks like its about 1500 points, is that right? Do you have a list for it yet? But yeah really excellent work. 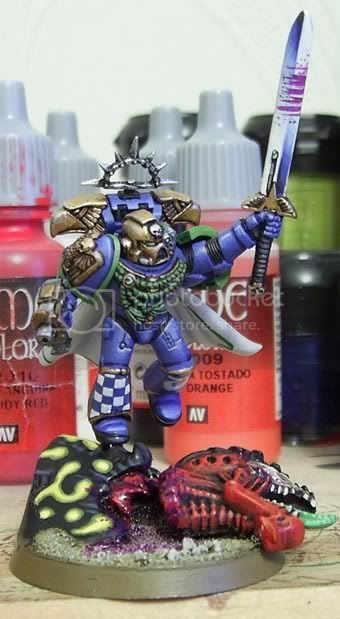 I quite like the techmarine&#39;s servitors as well. 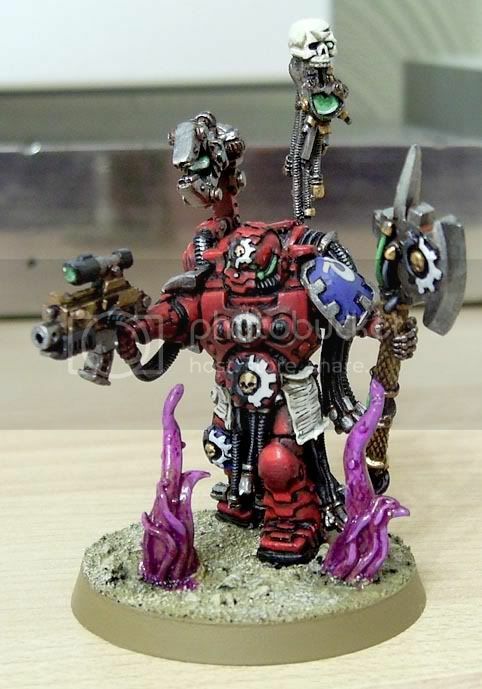 Can we get a close up of the techmarine? Go ULTRA! 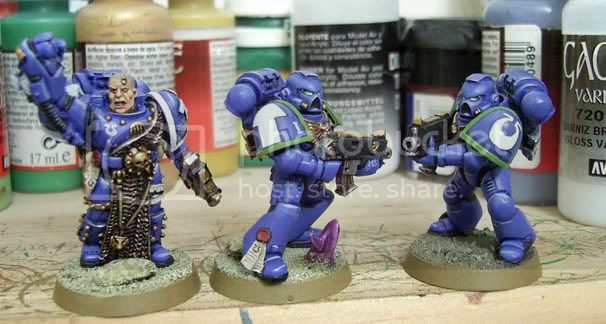 I used to play marines way back in the day. You have done an excellant job of representing them with your army. The base work is very nice and themed. You continue your record of excellence. 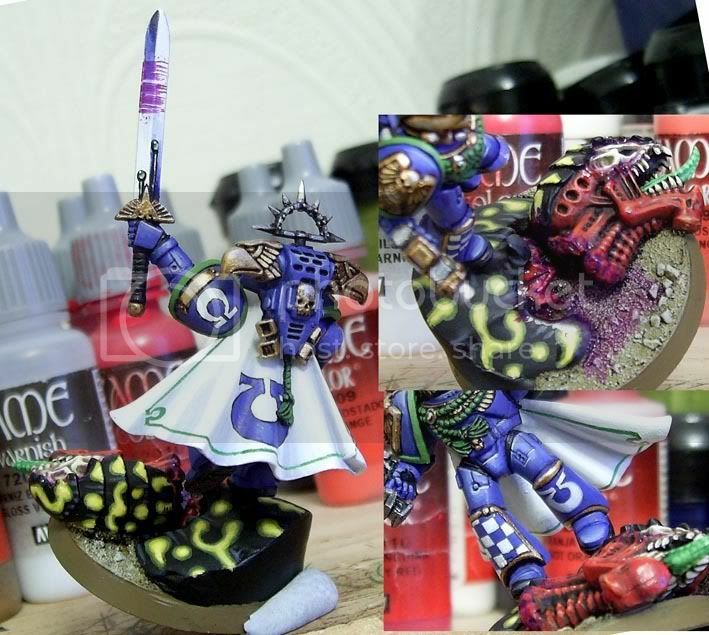 Any chance I can get more info on your airbrush process? Nitpicking aside, that is an incredible force. That is what I aspire to. Very nice. He doesn&#39;t have a full servo harness does he? Just the Servo arm?